One big decision when considering sitting room is the choice between Sectional vs Sofa. Size, comfort, and aesthetics all go in to be played. And that always involves the individual style and dimension of the room. In order for you to make a decision, here we will review more about the two products, please check the following review. 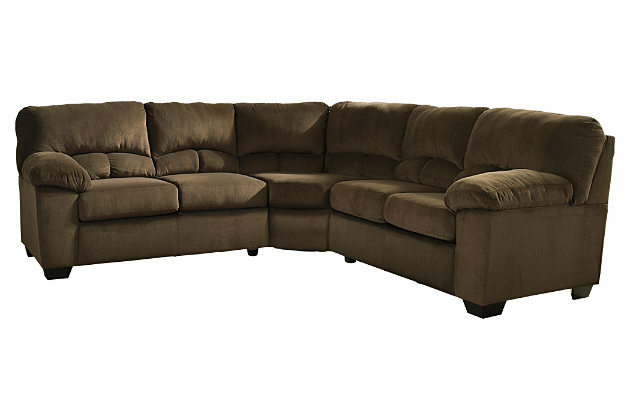 The sectional sofa set is an impeccable choice for those looking for the perfect blend of style and comfort. Whether you want to make an L shape, U shape, or any other shape you can think up, the sofa sectional will conform perfectly. Also the lush cushions are comfortable enough for company, guest, or just a lazy Saturday afternoon of enjoyment. A sectional comes in one of four common shapes, although many sectionals are versatile enough to be rearranged to suit your needs. 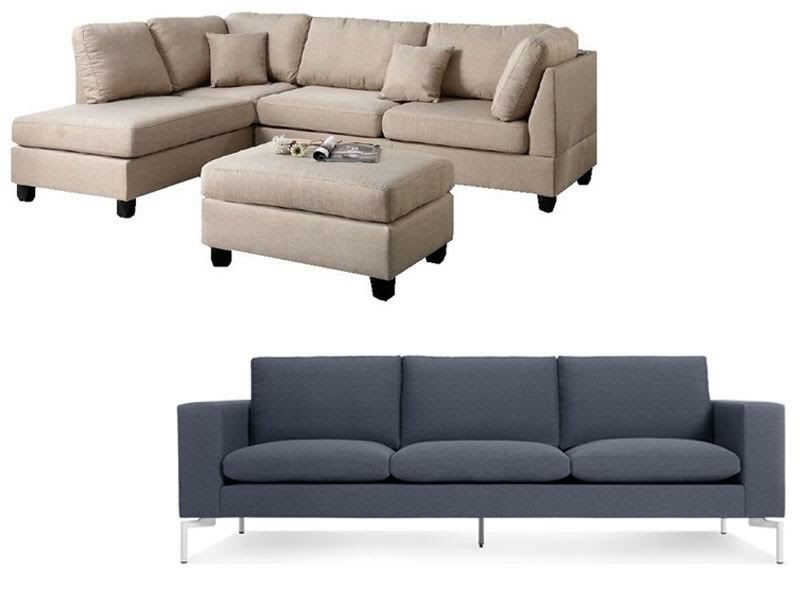 The most typical sectional shapes are: L-Shaped Sectionals – These sectionals usually have five cushions: two on one side of the L, two on the other, and one connecting them, U-Shaped Sectionals – With plenty of seating for even large gatherings, U-shaped sectionals may have a center with two sections extending from either side, or they may look like an L-shaped sectional with a chaise lounge on the opposite side, Chaise Sectionals – A chaise sectional is just like a regular sofa, but uses one chaise cushion instead of a chair cushion. Some sectionals allow you to move the chaise to either the left or right side, depending on your preference and Pit Sectionals – There’s nothing more fun or cozy than a pit sectional! These sectionals are more like giant customizeable beds than sofas. A pit sectional has a cushion for every spot, so you can create a seat that’s just right for how you’re feeling in the moment — or let everyone pile on at once. Unlike sectionals, sofas can’t be customized in the same way. However, while a sectional is more versatile than a sofa, it takes up far more space than a regular sofa. Small living rooms benefit from using a sofa over a sectional, since sectionals can easily crowd a room and overwhelm other furniture. If you still prefer a traditional sofa, but need the seating that a sectional provides, you can use two sofa’s facing one another. This is a wonderful way to create a conversational area and a more formal presence. The sofa placement and how it will be used determines the type of fill you want in the piece. Sofas are traditionally made of a dense polyfiber wrapped around a foam core, but many retailers offer upgrades such as down-feather cushions instead, for an additional cost. Obviously, comfort should always be a consideration, but if you can’t afford upgraded fill in each of your sofas, determine where you’d like to splurge on fill by weighing which room receives more traffic. You will likely want to choose an upgraded fill in a TV room where you and your family spend a majority of your time. Is a sectional better than a sofa? Not necessarily. It’s a matter of personal preference, and it all depends on your space and your family’s needs. 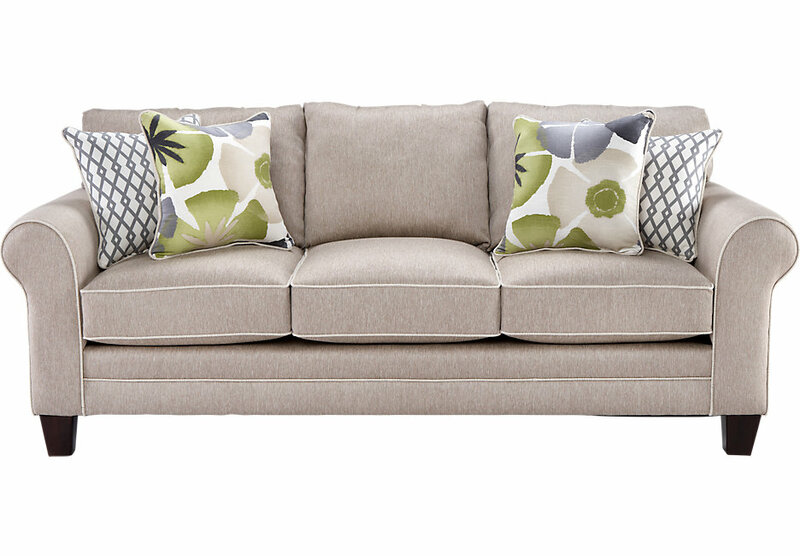 While a sectional can be more versatile than a sofa, all those cushions take up extra space. If you have a smaller living room, a sectional can overwhelm the room and crowd out other furniture. It’s all about personal taste, because different people have different needs.